Also launched is the 2016 digital album of all the song entries on Spotify and the commemorative special edition book, “PhilPop: Loud, Proud, Ours”, written by Tina Dumlao. 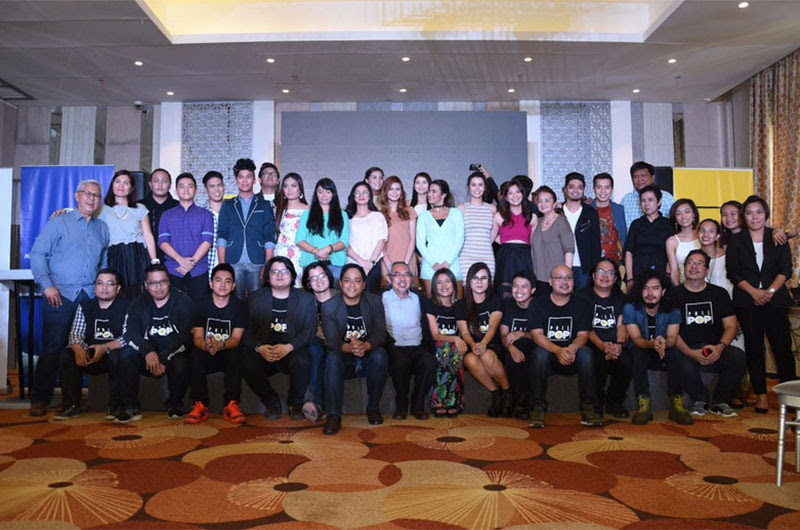 Twelvesongwriters are competing for the much-coveted PhilPop 2016 Grand Prize on July 23 at the Kia Theater in Quezon City. And here are the interpreters, the #composers and the 12 songs that are competing: Nyoy Volante for Jeroel Maranan’s “Sintunado”, A Capella Go and Jimmy Marquez for JC Jose’s “Stars Are Aligned”, Itchyworms for Jazz Nicolas and Wally Acolola’s “Di Na Muli”, Kenjhons for Karl Gaurano and Daryl Reyes’ “Friday Night”, Cookie Chua and Bayang Barrios for Miguel and Paolo Guico’s “Tinatangi”. The Juans for Johann Garcia’s “Binibini Sa MRT”, Ramiru Mataro for his own “Kahon”, Sugar And Spice for Joan Da’s “Baliw Sa Ex-boyfriend Ko”, Monica Cuenco for Keiko Necesario’s “Nobody But You”, Banda Ni Kleggy for Aikee Aplacador’s “Pabili Po, Yassi Pressman for Mike Villegas and Brian Cua’s “Dumadagundong”, and Jason Dy for Soc Villanueva’s “Lahat”. Now on its 5th year, PhilPop continues to brim with intense musical zeal, just like on the very day it was conceptualized and founded in 2012. And the vision “to renew life and focus on the local music industry” remains.